Economic and Reliable Cable Routeing. The PFLITSCH Industrial-Trunking is the perfect all-around mechanical for wires and cables that are connected to machinery with switch cabinets and other peripheral units. With over 100 specially shaped elements per sections, all cable routeings are possible. 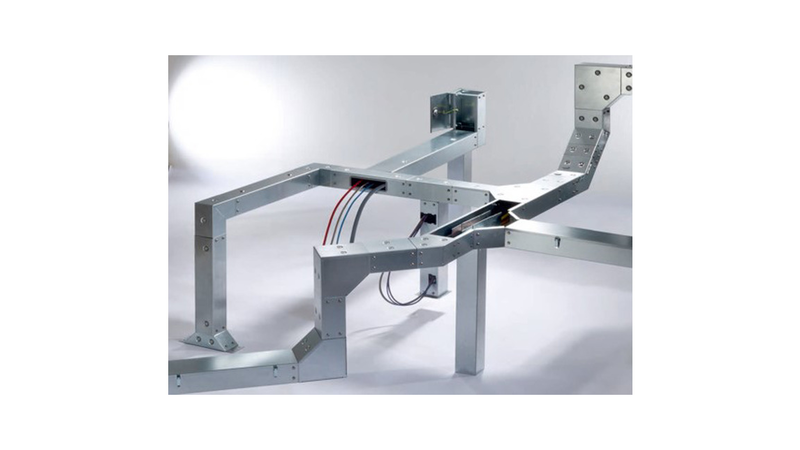 Accessories such as edge protection, cover safety devices, retainers, pertitions or variable components, make the Industrial-Trunking very flexible in its configuration. Angles, outlets, reversers, crossings, etc. are combined with straight duct pieces. The Industrial-Trunking can be opened in various cover positions over its entire length. The trunking sections made of galvanised steel sheet or stainless steel with a paint finish is provided, upon request, to meet the customer`s specifications. An on-line CAD system helps with construction; such tools and machinery ensure the optimal processing at site. The variant Automotive-Trunking can bear loads of up to 1200 N.